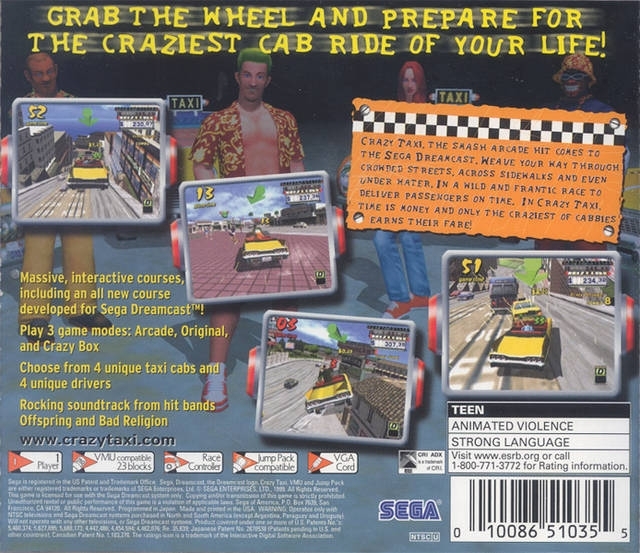 GRAB THE WHEEL AND PREPARE FOR THE CRAZIEST CAB RIDE OF YOUR LIFE! 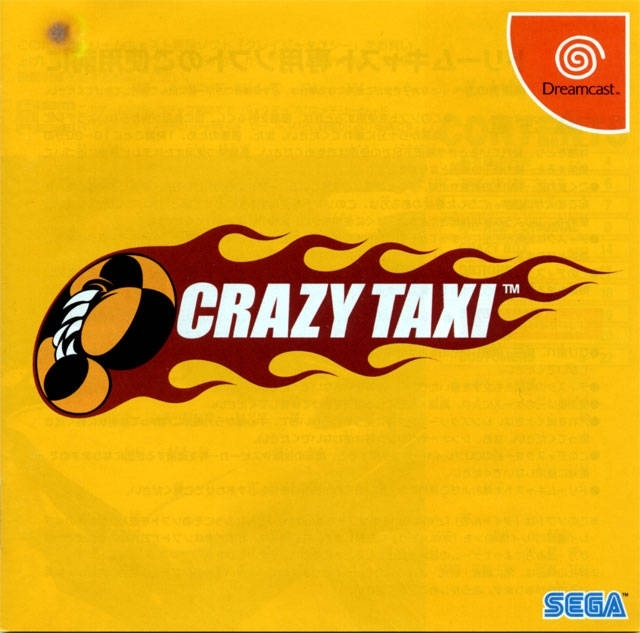 Crazy Taxi, the smash arcade hit comes to the Sega Dreamcast. Weave your way through crowded streets, across sidewalks and even under water. In a wild and frantic race to deliver passengers on time. 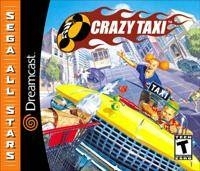 In Crazy Taxi, time is money and only the craziest of cabbies earn their fare! 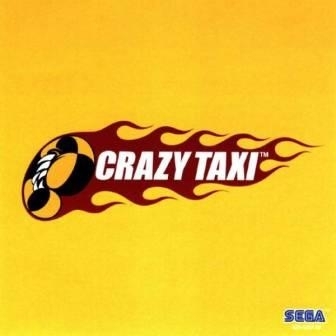 Massive, interactive courses, including an all new course developed for the Sega Dreamcast™! Wow, North America loved this! I think I have more fun with the mini games on this game that I do with the actual game. Crazy sales. 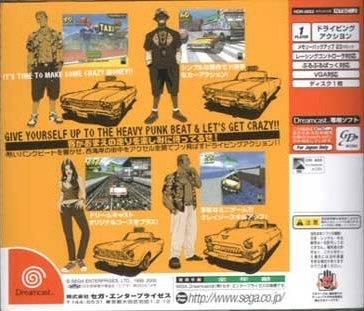 Best sound track EVAR as well! 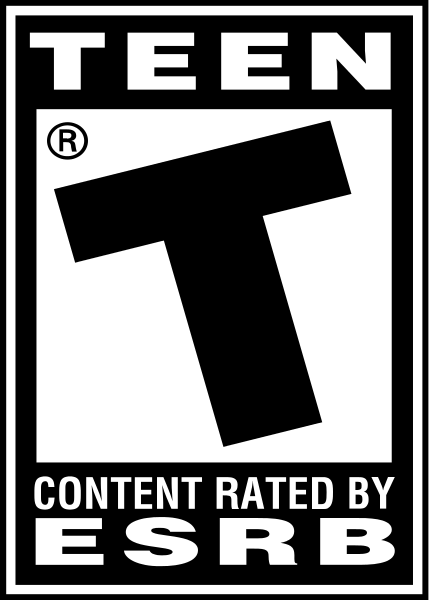 Crazy good graphics for it's time. 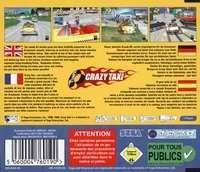 This game just seems to play so much better on the Dreamcast original, the PS2 version doesn't even work on my PS3 so meh.